Commodities such as oil and gas occur in isolated reservoirs or accumulations, more generically called basic units here. 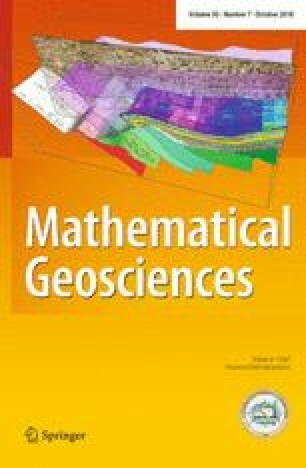 To understand a study area’s economic potential and to craft plans for exploration and development, resource analysts often aggregate (sum, accumulate) basic unit magnitudes in distinct spatial subsets of the study area and then appraise the total area’s potential by summing these intermediate sums. In a probabilistic approach, magnitudes are modeled as random variables. Some have asked, “Do different methods of partitioning basic units into subsets lead to different probability distributions for the sum of all basic unit magnitudes?” Any method of aggregation of basic unit magnitudes which obeys the rules of probability leads to the same probability distribution of the sum of all unit magnitudes as that computed by direct summation of all basic unit magnitudes. A Monte Carlo simulation of a synthetic example in which the magnitude of resource in each unit is marginally lognormal and pairwise correlations among basic unit magnitudes are specified illustrates key features of probabilistic aggregation. The joint distribution of certain pairs of aggregates are closely approximated by a bivariate lognormal distribution. The U. S. Geological Survey requires a preliminary internal review before any paper can be published in a scientific journal (http://pubs.usgs.gov/circ/1367/). We wish to thank Emil Attanasi, David Root and Peter Warwick for their insightful suggestions.